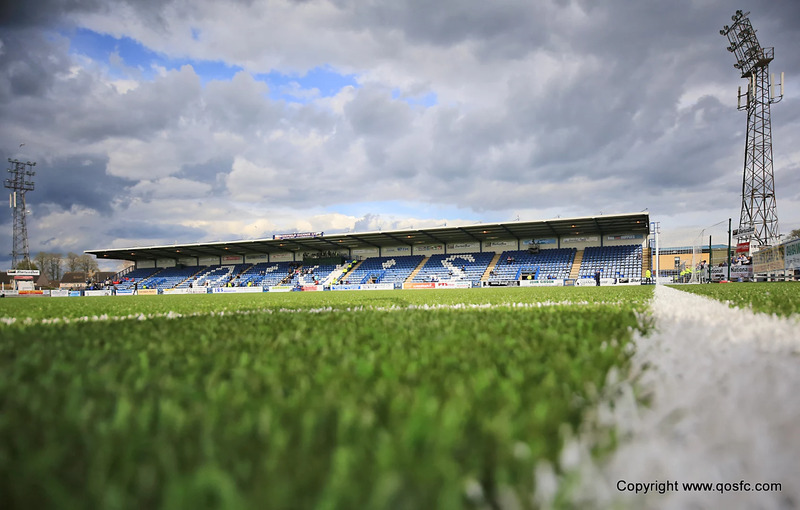 This Saturday we welcome Championship leaders Ross County to Palmerston. It's been a long time since we last faced each other, we haven't played against County since May 2012 in the old Irn Bru First division, which means this is the first meeting of the two sides in the Championship. County manager, Stuart Kettlewell will have fond memories of the last meeting as he scored the first of the Staggies five goals in their five - three win at Palmerston that day. It's another bit of freshness for Queens boss Gary Naysmith who hasn't faced the Highland side as a manager. As he prepares for the game, he has been reflecting on our cup win over Crusaders and looking ahead to the visit of County. "If ever there was your proverbial game of two halves then it was at Palmerston last Saturday against Crusaders. We were excellent in the first half but really sloppy after the break and we very nearly paid the penalty a poor second 45 minutes. Four goals in nine minutes midway through the first-half was unbelievable and some of our forward play was excellent. That period was a continuation of our performance against Ayr United the week before and Crusaders couldn't live with us at times. We looked like scoring every time we pushed forward and for Stephen Dobbie to find himself on 20 goals by the end of the first week in September is an incredible achievement. Crusaders had nothing to lose in the second half and came out all guns blazing but we never got started and after giving them two quick goals we struggled for most of the second half. It was a reminder that at this level you cannot switch off in games. You lose your momentum, you lose your rhythm and it's very difficult to get back into things. The object of a cup-tie is to be in the next round so eventually, it was a case of 'job well done' for us, even if we went about it in an unusual manner! We now have an away trip to East Fife to look forward to in the last sixteen. Before we get to that though we have the first of back to back games against the two sides relegated from the Premier League. This week we are up against the current leaders, Ross County who in my opinion have one of the strongest squads in the Championship, if not the strongest, and we will need to be at our very best as we look to take another three points. County have started the season well and are clearly determined to bounce straight back up into the Premier League at the first time of asking. But we have good players and our run of form isn't too bad either. We have now scored over 30 goals in all competitions which at this stage of the season is phenomenal, we just need to make sure that we don't have a similar performance to the one we had in the second half last week and tighten up again at the other end. Both Callum Fordyce and Darren Brownlie are continuing to make good progress but are still side-lined. Everyone else is fit and available for selection". Visiting supporters should note that section six in the BDS Digital (East) Stand has been set aside for them. Turnstile three will be in use. Entry to the game is by ticket only. The Arena ticket office will be open for both sets of supporters from around 1130 with the BDS Stand ticket office opening later. Spectators should arrive in plenty of time to ensure that they purchase their ticket and gain entry to the stadium for the kick off. Turnstiles open for admission around 2pm. Wheelchair access for away supporters is on the south side of BDS Digital stand. There is a lay-by on King Street for vehicles to drop their passengers for flat access to the ground. Disabled parking is available on the north side of the BDS Digital Stand or at the Arena car park. The cost of entry of one personal assistant is included in the price of the accessible ticket. The catering outlet in the home side of the BDS Stand will be available for use by both sets of supporters. Catering is also available in the Arena café where a full menu is available before kick-off. There will be on-street car parking restrictions. Parking will be available next to the stadium at the Queen of the South Arena. While, it's suggested that buses/minibuses drop off their passengers in Terregles St/King Street and thereafter park on College Mains road just off the roundabout with the A76 on the town bypass (adjacent to Curry's/PC World, as the other side at Aldi is the access road to the ambulance depot and is extremely busy). Pick up should be the same location. QOS have adopted a robust and thorough search policy for spectators entering the ground to ensure that ground rules and regulations are strictly adhered to, especially in relation to pyrotechnic devices and controlled containers. All bags will be searched and spectators presenting themselves for entry may also be subject to search. All spectators are required to abide by our unacceptable behaviour policy. Kick off at Palmerston is 3pm. Ahead of kick off, our Saturday soccer club will be running at the Arena for Primary school children from half past 12. The usual great value of £10 (£8 for Junior Blues) which includes two hours of coaching, fun, games, lunch and entrance to the first teams game.